As we knew Kankuro is Gaara's brother. When Kankuro was child, he always obey Gaara's desire because Kankuro was afraid if Gaara angry. In fact, Kankuro not truely accepted that condition because he was older than Gaara. 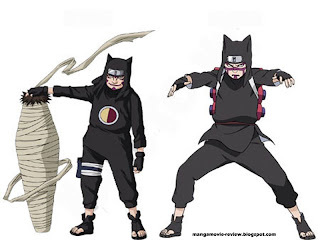 But after they have been adult and Gaara has changed, Kankuro become more respect and love his little brother (Gaara). Now let talk about his style, is there any changing from his style? Yes there is, If Kankuro's child always brought his puppet and wrapping it with cloth, Kankuro's adult brought his puppet into scrool and summoned them when he need it. Kankuro's child brought arm bag on his leg and Kankuro's adult didn't bring it. And last difference is we didn't see anymore picture (a circle with two colour, brown and orange) on Kankuro's adult clothes. Maybe there is another difference from Kankuro's child and adult which didn't yet I mention? Please tell me about it, so I can add more information detaily. Just like my previous post, I have new collection from Kankuro Shippuuden Wallpaper that I wanna share to you all Narutofans. Just click on image to get the real pixels and save it. 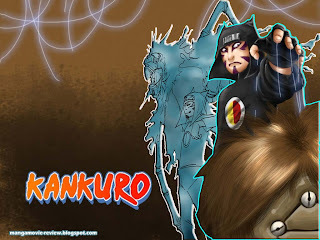 I'm still waiting your information about Kankuro. Thanks for your visited here.